Christopher Carelli: Yankees’ Adam Warren starts spring opener; will he stick in rotation? Yankees’ Adam Warren starts spring opener; will he stick in rotation? 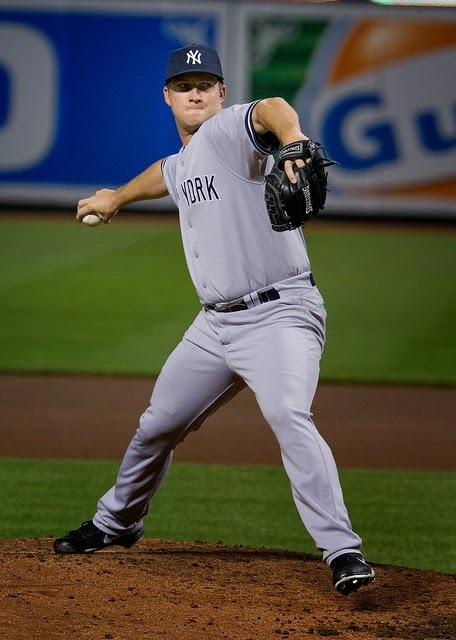 The New York Yankees have Adam Warren in camp this spring as a starter; is it because they feel he’s best suited for that role or by necessity as the club hedges its bets that the front line of the rotation is going to suffer an injury? Warren gets the start in Tuesday’s Spring Training opener for the Yankees in Clearwater, Florida against the Philadelphia Phillies. The Yankees have decided to go with a six-man rotation this spring which could be reintroduced in the middle part of April when the club begins a 30-game stretch across 31 days. Warren is competing for the final rotation spot with Chris Capuano, Esmil Rogers, Chase Whitley and Bryan Mitchell with Capuano being the favorite. With the chances of injury looming over the Yankees’ heads, Warren could see himself further up the chain once the regular season begins. Is Warren best suited to be a starter, as an option to take over David Phelps’ role as swingman or be one of the setup guys in the sixth or seventh innings? At one point last season Warren was getting important innings when David Robertson went down with an injury. He was working the eighth inning leading to Shawn Kelley, who notched some saves in Robertson’s absence. Warren rode the good wave to being used quite often and it started to negatively affect his performance. It wasn’t until his workload evened out some that he began to regain his form later in the season. He finished the season with a 2.97 ERA (2.89 FIP) an 8.7 K/9 and 2.7 BB/9 in 78.2 innings (69 appearances). Warren has only three major league starts to his name, but each of his 90 games in the minor leagues was as a starter. He has two full seasons of Triple-A ball under his belt (2011-12) and was fairly effective during the time period – 305 IP, 53 starts, 3.66 ERA, 1.35 WHIP, 6.4 K/9, 2.9 BB/9 and 0.7 HR/9. So, there is reason to believe that Warren can translate some of that to the big league mound. However, there are other things to consider. Mitchell is probably last in the line here and seems destined for Triple-A Scranton/Wilkes-Barre, and while Rogers has “good stuff” that the club likes it’s hard to see him sticking around. Rogers has not demonstrated that he can convert his repertoire into outs on a regular basis. Whitley might put up a challenge, but in the end Warren is the better option. That leaves Warren and Capuano. Capuano is much more suited for a starter role or the swingman role than he is as a straight-up reliever. Warren can handle any of the spots. From the outside, it looks like Capuano leads the group for the final spot in the rotation by default of his $5 million contract and the comfort level of being a starter for a majority of his entire career. If Capuano succeeds in nabbing the final spot in the rotation and Warren performs best of the remaining pitchers discussed, he should easily slot into Phelps’ former role and stay stretched (as much as a swingman can). This way if the Yankees lose a member of the rotation, or they get to use the six-man spread in the regular season, Warren is ready to go. The Yankees don’t need Warren to be part of the one-inning relief crew with Dellin Betances, Andrew Miller, Justin Wilson and David Carpenter set to handle the sixth through ninth innings. Rogers, Whitley, Mitchell or Chasen Shreve could fill out the bullpen’s two remaining roles. Of course, this could all change according to health of the bullpen arms. Health, as always, is the key and is what will likely dictate how the rotation/bullpen structure shapes up. The chances everyone stays healthy (Warren included) is highly unlikely, so there will be the need for changes along the way. For now, getting Warren ready to be a starter, and if not needed slotting him in the swingman role makes the most sense at this point of a very long season. Photo of Adam Warren courtesy of Keith Allison via Flickr.